Join us for Summer Build Week! 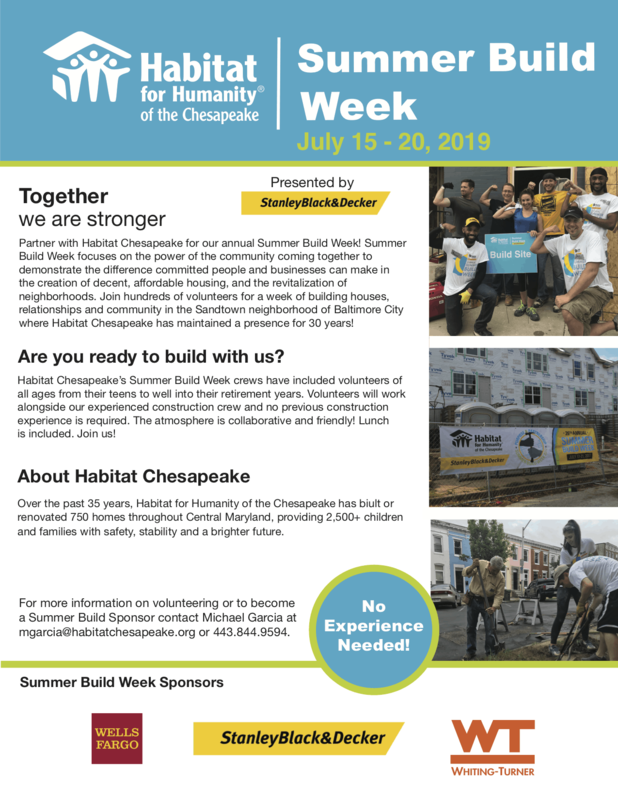 Celebrate Habitat Chesapeake’s 30th year working in the West Baltimore neighborhood of Sandtown-Winchester by lending a hand in building beautiful houses during Summer Build Week. Partnered with Title Sponsor Stanley Black & Decker, this week of service will bring together nearly 300 volunteers from various organizations to renovate five new homes within the community and complete beautification projects throughout. This build event will include volunteers of all ages working alongside out experienced construction crew and no previous construction experience is required! Become a Summer Build Week Sponsor! 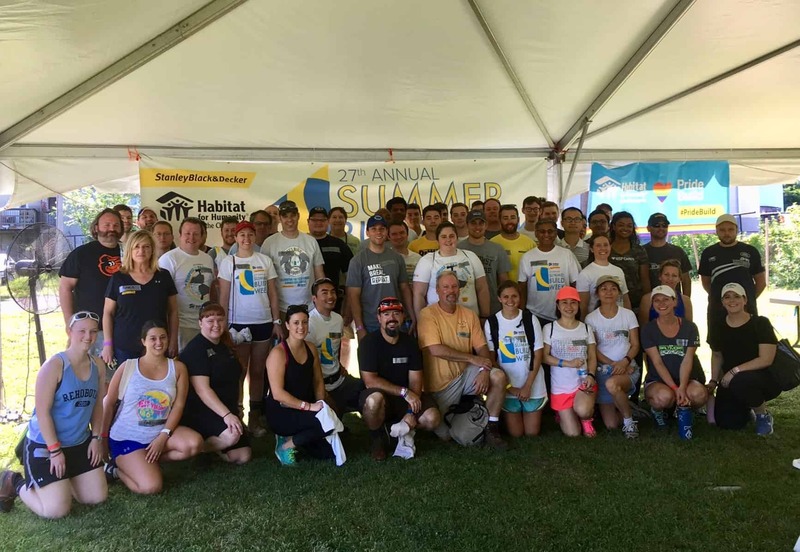 As a Summer Build Week sponsor you will play a critical role in assisting Habitat Chesapeake in covering the Summer Build Week costs. Sponsors are also invited to volunteer alongside our hardworking partner families, volunteers and skilled construction crew. Sponsors can participate at various financial levels, from a full event sponsor to a community or hospitality sponsor. Habitat Chesapeake welcomes the opportunity to custom design a sponsorship package to best meet your needs.